No final games played between David Hand and Nicky van den Biggelaar. Unforeseen circumstances forced Nicky to return to the Netherlands and he forfeited the games. David Hand won the final by default. Both players are granted the normal EGP points for first and second place. 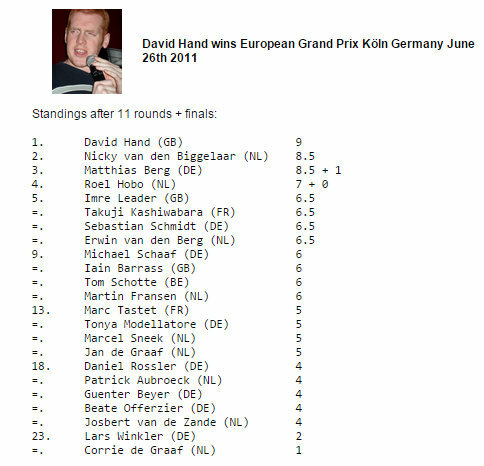 Results of the 2011 tourneys in Prague, Barcelona, Moss, Ghent and Paris.